As Anthony Rizzo prepared to make the permanent jump to the majors and Cubs in 2012, his manager at AAA Iowa Dave Bialas saw only big things in Rizzo's future, according to NBC Sports. "I think he (could become) a Gold Glove first baseman," Bialas told NBC Sports that May. "Not only does he have power and is hitting for average, he has good instincts on the base paths. He really does a good job in going first to third, reading the ball off the bat, scoring from second base. He's really a complete player." Bialas assessed Rizzo that year using his own instincts honed over a baseball career that spanned nearly four decades. Bialas spent 10 seasons in the minors as a player, then the next 30 as a manager and coordinator in the minors and coach in the majors. Bialas' career began in 1973, taken by the Cardinals in the fourth round of the previous year's draft out of Bellaire High School in Texas. He started with the Cardinals at single-A Orangeburg. He hit .220 over 106 games. 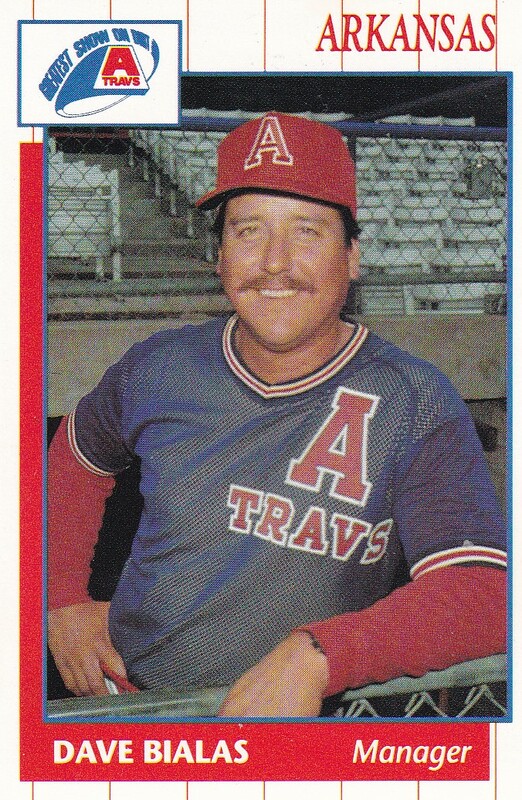 He moved to single-A Modesto in 1974, then AA Arkansas for 1975. Starting that year in 1975, Bialas played five of six seasons at Arkansas. Bialas saw 20 games at AAA Springfield in 1978, then all of 1978 there. He hit .283 over 120 games in 1979, but he didn't see St. Louis. He then turned minor league manager for 1982. He's credited as managing at single-A Springfield that year. He also saw his final games as a player, 33 appearances where he hit .309. Bialas continued on as a manager after that. He managed again at Springfield in 1983, then returned to Arkansas for 1984. He managed at AAA Louisville in 1986. To The St. Louis Post-Dispatch in July 1986, Bialas praised his starter and future eight-season major leaguer Joe Magrane, who'd just dropped his ERA to 1.39. "That's the sixth time I've seen him," Bialas told The Post-Dispatch of Magrane, "and the sixth good game he's pitched. He's our stopper. You know he's going to pitch you a good game." He managed 1990 back at Arkansas and 1991 at high-A St. Petersburg. In 1993, he got his first look at the majors over his then-20-season career. He made the Padres in San Diego as bullpen coach. Bialas stayed with the Padres there over two seasons. He then moved to the same role with the Cubs for 1995. He served as bullpen coach for Chicago over five seasons. He stayed in the Cubs system through 2012. 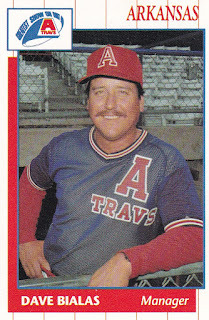 In between, he served two seasons as manager at AA West Tennessee and seven seasons as minor league field coordinator. He spent 2012 as manager at AAA Iowa. He's most recently credited as manager at short-season Staten Island with the Yankees in 2016. "I'm looking forward to being in Staten Island and working with the younger guys, including the college draftees," Bialas said in a statement after his hire that year. "The biggest pleasure I have is working with the young players and having the chance to teach them how to play Yankees baseball."